Restoring Farm Woodlands for Wildlife focuses on why restoration is important and describes best practices approaches to restore farm woodlands for birds, mammals and reptiles. Based on 19 years of long-term research in temperate agricultural south-eastern Australia, this book addresses practical questions such as what, where and how much to plant, ways to manage plantings and how plantings change over time. 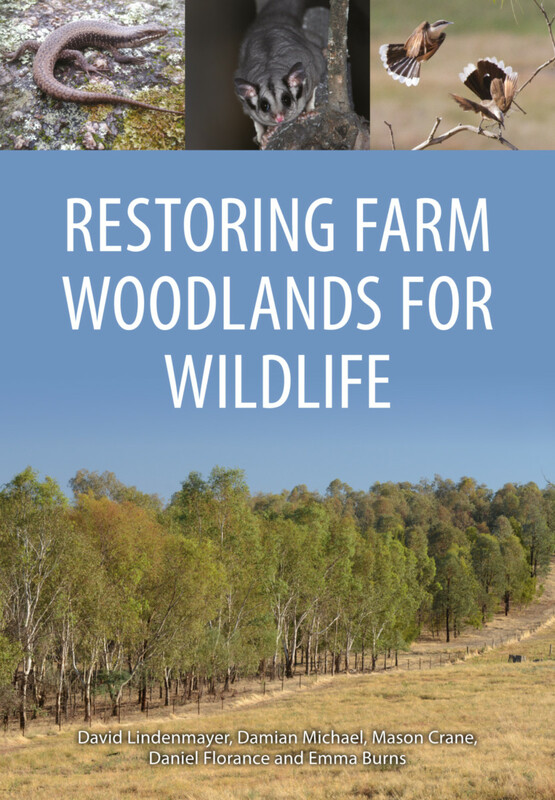 It will be a key reference for farmers, natural resource management professionals and policy-makers concerned with revegetation and conservation. Damian Michael is a Senior Research Officer in Ecology at The Australian National University. He has broad interests in landscape ecology, biodiversity conservation, herpetology and understanding the ecological importance of rocky outcrops in agricultural landscapes. He manages several large-scale biodiversity monitoring programs in New South Wales and has published 90 scientific papers and six books. Mason Crane has been a field-based research officer with the Fenner School of Environment and Society at the ANU for the last 15 years. Daniel Florance manages the Australian Government’s Environmental Stewardship Program. Since 2012, he has worked as a research officer at the Fenner School of Environment and Society at the ANU. Emma Burns is a conservation biologist in the Fenner School of Environment and Society and Executive Director of the Long Term Ecological Research Network (LTERN) within TERN.